Yep - this one was a total stinker. Played it a handful of times then never bothered with it because the controls were a joke and the gameplay negligible. Nice intro, horrible game. Really wanted to hunt down the producer and shove the disk right up his "Fortress of Solitude." This one is bad. Sluggish controls (fire is unresponsive) and bugs. I managed to lock Superman and Darkseid together so neither could move. And if you win or lose the game, you go straight back to the the title screen. The is no message saying you won. But the biggest bug is that if you go from the first play screen to the left or right screen when combat zones are on, the game goes back to the title screen. So turn off the combat zones. Not that that is a miss since the sub game is poor and the programmer probably didn't know the Atari is capable smooth vertical scrolling. The intro screens are nice but that is missing from the tape version. 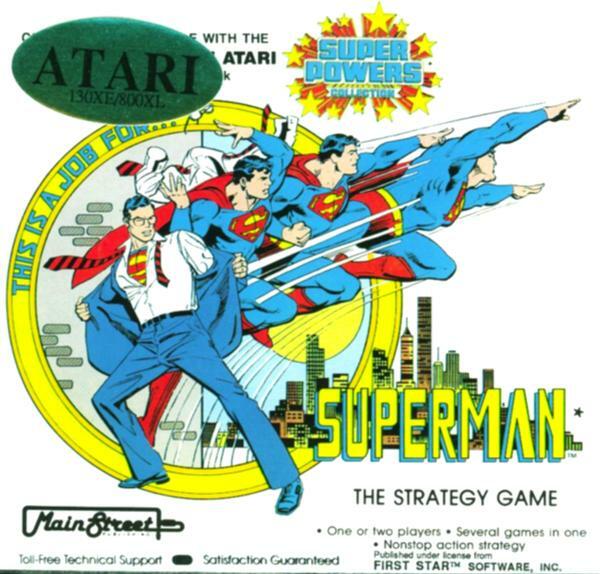 When I first heard there would be a big named title called "Superman: The Game," I thought it was going to be based on the Christopher Reeve movies. Boy, was I way off on that. And boy, did the programmers miss the boat on this as well. 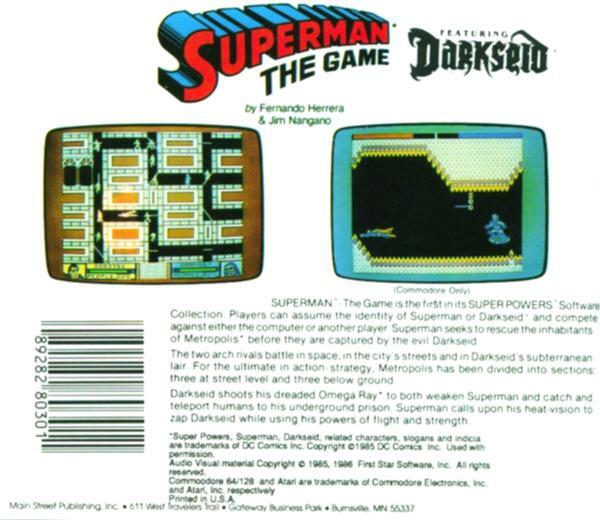 IIRC, the game was based on the "Super Power" series from either the cartoon or comic book stories of the time, so that's what you get here. 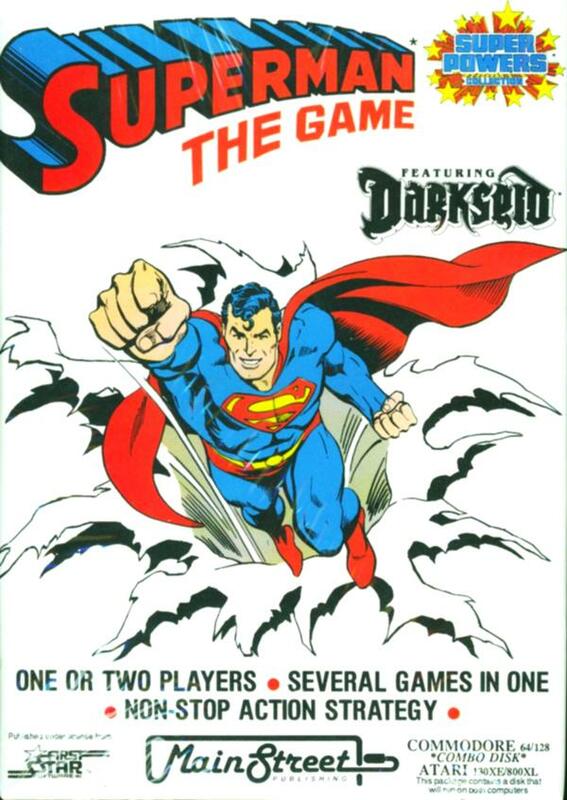 The game play seems to be uncannily like Atari's unreleased "Superman III." You fly around using your heat vision to deter enemy forces. 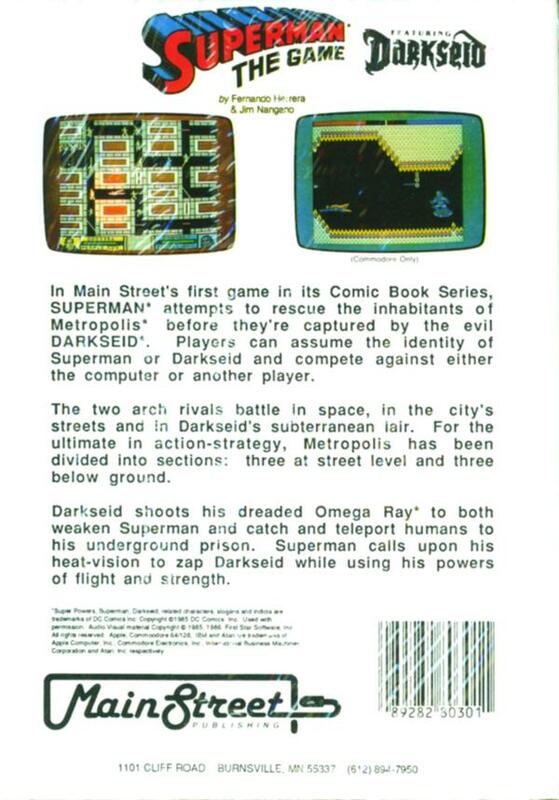 The other rounds where you square off against Darkseid are equally not very involving and not particularly fun. At least the title screen is well done.